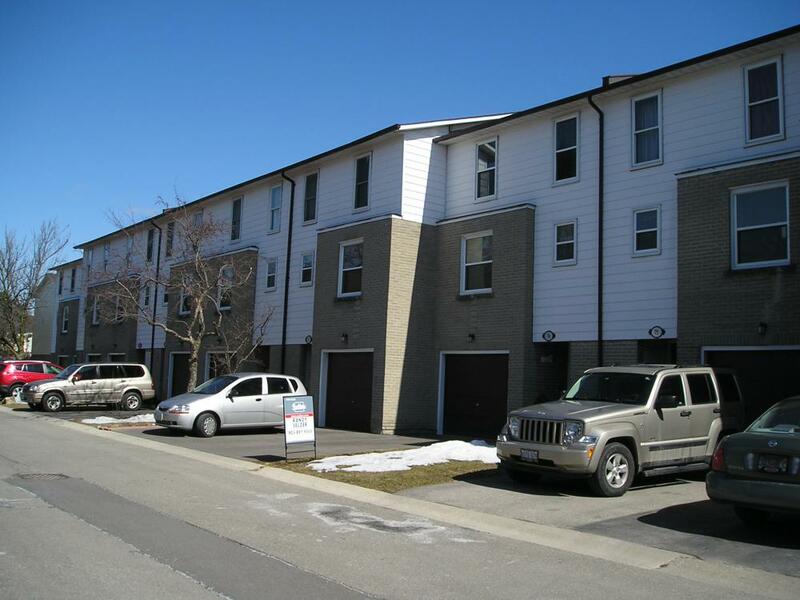 When home buyers look for affordable Mississauga townhouses for sale, they are often drawn to the townhomes of Bromsgrove Rd, which are located in the southwest area of Mississauga known as Clarkson. These Mississauga townhomes have long been a popular choice for first time buyers, both singles and families. Today we are going to review the real estate selling prices for these townhomes on Bromsgrove Road. You can also check other pages on this site for photos of the townhouse complexes, and a list of neighbourhood amenities. 2018 was another great year for sales on Bromsgrove, out of the approximate 660 residential condominium units on the street, there were 26 condominium townhouses that changed hands in the twelve months from Jan 1, 2018 to December 31, 2018. The numbers supplied here are courtesy of the Toronto Real Estate Board (TREB). Out of 26 Mississauga townhomes which were sold on Bromsgrove Road during 2018, the ‘average’ asking price was $500,335. Average asking prices are determined by adding up the MLS asking prices together, and then dividing by the total number of townhouses sold (in this case, 26). While average prices are useful, they can often be distorted by a single high or low sale. The ‘median’ price is a different measurement, where the midpoint of all the sales during 2018 is calculated. Median price can be used to track sales trends, as they are less likely to be distorted by extremely low or high sales. Sales data for 2018 shows that it took only 27 days on average to sell a townhouse on Bromsgrove Road during during this timeframe – a low number which goes to illustrate how active the market has been. There were 6 sales at this multi-storey townhouse complex during 2018. Range in asking price was from $349,900 to $479,900. There were 4 sales at this popular complex during 2018. There was a wide range in asking price from $497,000 to $529,900. There was a single sale during 2018. Asking price was $493,000. There were a total of 5 sales here. Asking price ranged from $449,000 to $589,900. There were 3 sales here during 2018. Asking price ranged from $535,000 to $569,000. There were a grand total of 7 sales at this large townhouse complex during 2018. Asking prices ranged from a low of $484,800 to a high of $589,000. The slight drop during 2018 shows the effects of our government’s attempts to cool the market. Even with reduced activity, prices have held firm. Over the past seven years, people who have purchased one of these popular Clarkson townhouses have more than doubled their money. The average days on the market, while an increase from 2017, still is a very respectable figure for a neighborhood built during the 1970s. As 2019 begins a new year, how will prices change for these Mississauga townhouses? We believe that, in spite of government intervention to “cool” the market, relatively affordable townhouses such as those on Bromsgrove Rd. will continue to be very popular. Interest rates are expected to rise a bit more in 2019, but as long as the overall economy in Ontario remains robust, then the market will continue to rise. One other factor contributing to the strong real estate market in Mississauga is the incredible influx of people from all around the world, who continue to move into our city. This net gain of new immigrants should continue as long as current immigration rules and quotas remain in place. We hope you have enjoyed our 2018 summary of the townhouses for sale in Mississauga, located on Bromsgrove Rd – their sales activity and prices.These townhouses are a great housing option for families, singles, and for investors. Their great location near schools, shopping and the Clarkson GO station, combined with their affordability, have make them popular real estate in Mississauga. If you are thinking of buying, let me show you what key things you need to be doing each day to be able to purchase your next home. If you already own a home, let me show you the proven steps you need to follow to sell fast and for top dollar in just 3 weeks. Click the yellow button and get the information you need! There is no cost or obligation.